Warwick will be presenting a number of new bass products worth seeing and hearing at booth 4636 in Hall D at this year’s NAMM Show 2019, taking place from 24th to 27th January in Anaheim/California. Warwick Masterbuilt, Warwick Teambuilt and RockBass novelties await you there. 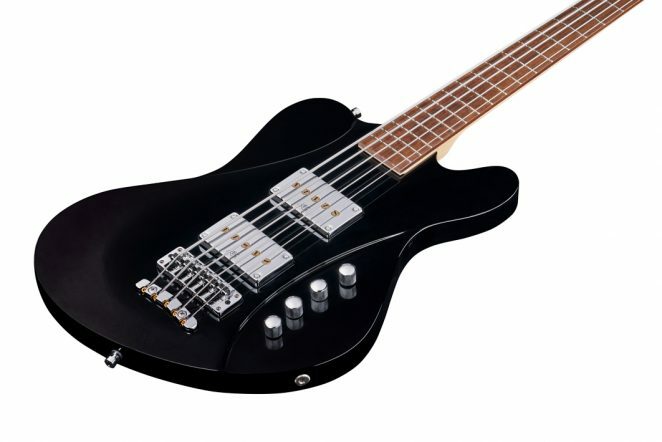 The Masterbuilt LTD 2019 model is a very distinctive Corvette $$ NT, which will be available as 4 or 5 string bass. The eye catcher of the Corvette $$ Neckthrough LTD 2019 Masterbuilt is a top and matching headstock from Californian Buckeyeburl, with natural satin / multicolor chrome acrylic finish. The body is made of Swamp Ash and the machine knobs are made of wood. The maple neck with ekanga veneer stripes meets the body in a hidden neck through construction, the tigerstripe ebony fretboard features 24 jumbo bronze frets, Yin Yang fretboard inlays and illuminated side dots. Two passive MEC MM-Style humbuckers with metal housings work together with an active Warwick 2-way electronics, rechargeable lithium battery and controls for volume, balance, treble & bass as well as two 3-way mini-switches for the two humbuckers (in series / parallel / single coil). From 2019 all Warwick Masterbuilt Custom Shop basses will be equipped with pickups with metal housings and Schaller tuners. As in previous years, the Masterbuilt Corvette $$ LTD model is accompanied by a “Made in Germany” Teambuilt Pro Series model. 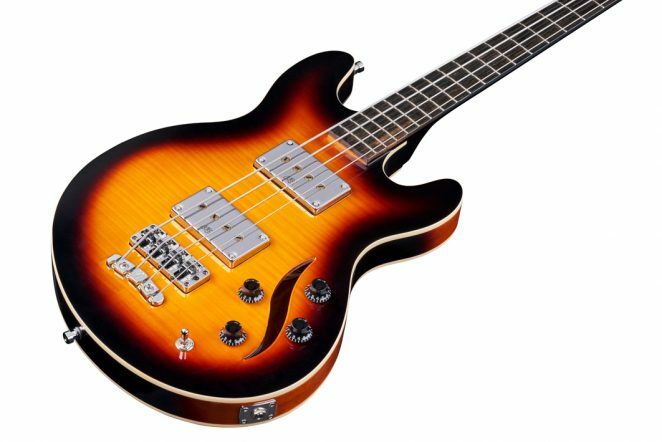 Just as attractive as its Masterbuilt counterpart, the Corvette $$ Bolt on LTD 2019 Teambuilt will be available as a 4 or 5 string bass. 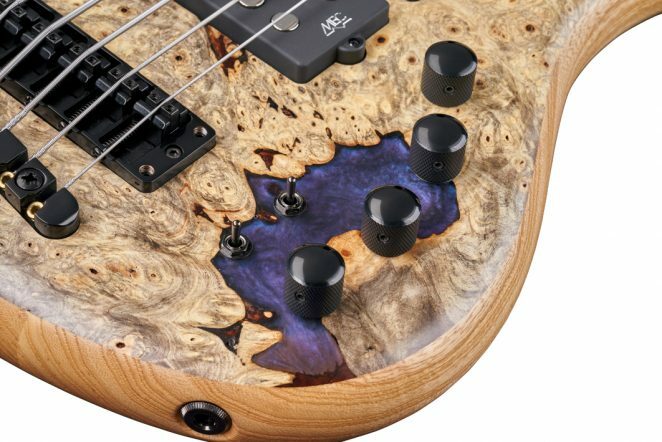 The body is also made of swamp ash, with a spectacular textured Californian Buckeye burl-top with natural satin / multicolor chrome acrylic finish. The 3-piece maple neck with ekanga veneer stripes is bolt on; it carries a tigerstripe ebony fingerboard and is equipped with 24 jumbo frets and illuminated side dots. Like the Masterbuilt model, two passive MEC MM-style humbuckers with active Warwick 2-way electronics and controls for volume, balance, treble & bass as well as two 3-way mini-switches for the two humbuckers (in series / parallel / single coil) are installed. The magnificent Warwick Masterbuilt Sklar Bass I Signature will also be available from 2019 as an Artist Series Teambuilt 4 string model, optionally in vintage sunburst transparent high polish or burgundy blackburst transparent high polish finish. The body of the Sklar Bass I Artist Series Teambuilt consists of mahogany with AAA flamed maple top and carved body shape, the set neck is made of maple with ekanga veneer stripes. The tigerstripe ebony fingerboard is equipped with 21 frets and illuminated side dots, the electronics consists of two active MEC vintage single coils as well as an active MEC 2-way electronics with controls for volume, balance, treble and bass. All Warwick Teambuilt basses will be shipped with a certificate of authenticity and original photo from 2019. Last year the Framus Idolmaker got a Warwick Masterbuilt and a Teambuilt model counterpart each. 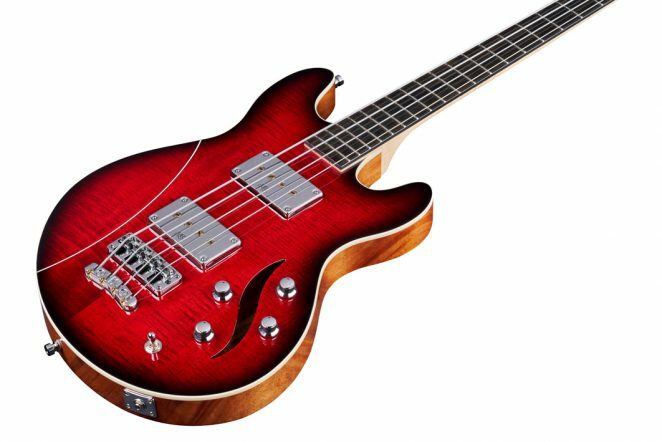 In 2019 the Idolmaker Bass will be also available as a 4 string and 5 string RockBass instrument. The RockBass Idolmaker is equipped with mahogany body, carved body shape, bolt-on maple neck, wenge fingerboard, Warwick Just a Nut III Tedur nut, 20 nickel silver frets, Warwick security locks as well as passive MEC vintage single coil pickups, active RockBass 2-way electronics and controls for volume, balance, treble & bass. 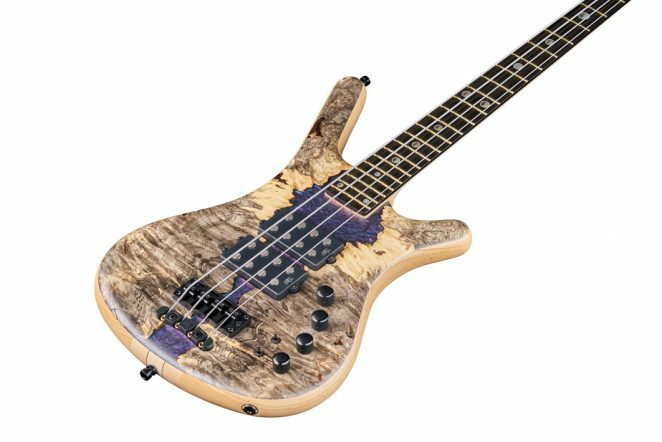 Under the RockBass label there will also appear a Sklar Bass I in the Artist Line this year. The body of this unmistakable instrument consists of mahogany with AAA Flamed Maple top and Carved Body Shape, the set neck consists of maple. The tigerstripe ebony fingerboard is equipped with 21 frets, the electronics offers two passive MEC vintage single coil pickups, an active RockBass 2-way electronics and controls for volume, balance, treble & bass. Other features include chrome hardware, a two-piece Warwick bridge and Warwick security locks. From 2019 all RockBass Alien models will be manufactured exclusively with a solid spruce top, in satin finish and with thumb rest. Included is a high quality RockBag.